On Sunday LBT hosted the junior aquathlon at the Edge sports facility based within the grounds of Leeds University. The weather was spectacular and the junior and youths athletes all enjoyed racing over various distances according to age. 350 kids took part in the event which is part of the Yorkshire Junior Triathlon series. 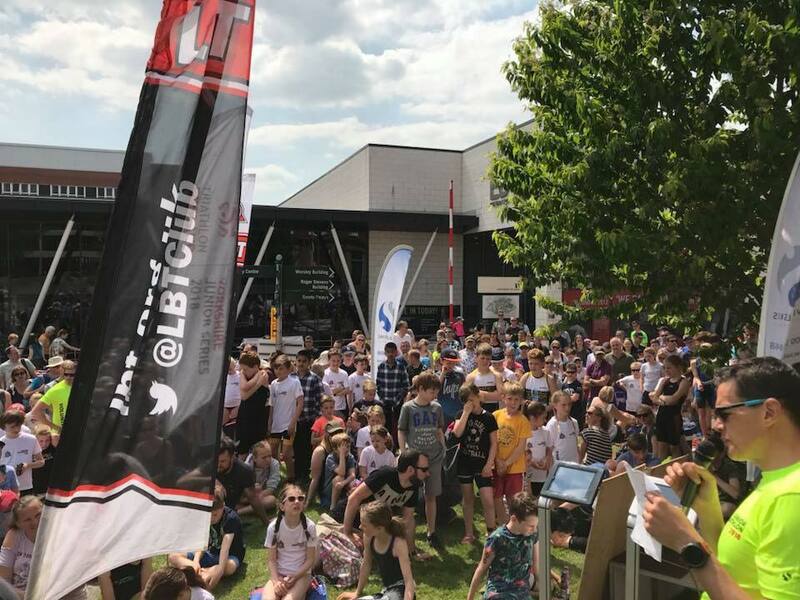 If you took part or attended can you spare a couple of minutes to complete our feedback form that will help us make next years event even better. You can respond anonymously or attribute your comments. Finally thanks to our team of over 40 volunteers, the team at the Edge Pool, parents, cake bakers, Cannonball Race Timing Services, athletes and our event sponsors, Yorkshire Runner and Switalskis Solicitors.